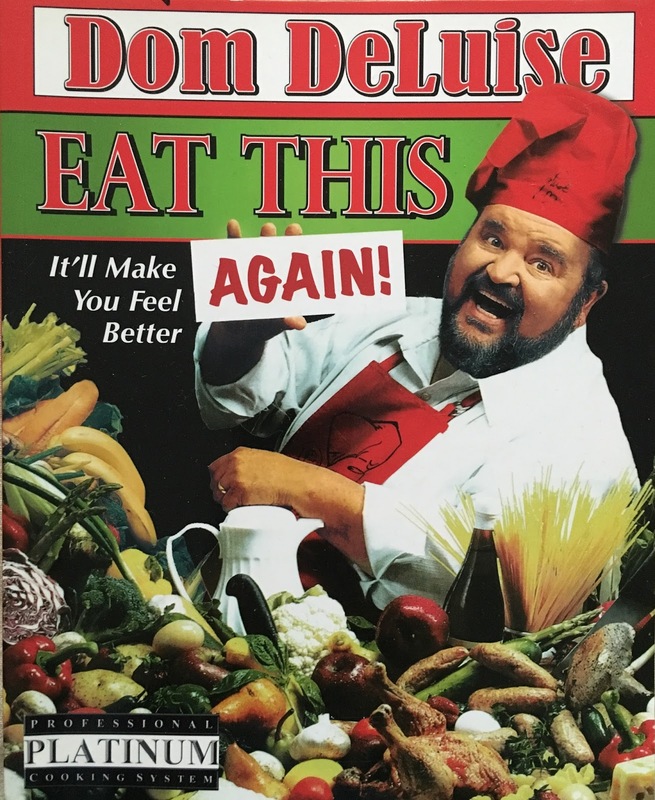 Not long before he passed away in 2009, I had the great pleasure of talking with actor and comedian extraordinaire Dom DeLuise. It was a phone interview for Fra Noi Magazine. My editor had asked me to choose an Italian American filmmaker that month. As I had grown up with my parents watching Burt Reynolds and Dom DeLuise films in the 70's, I've always had an affection for him, so I thought, well, it can't hurt to ask for an interview. I was thrilled when his publicist granted my request. Our conversation was unforgettable. He was so down-to-earth and enthusiastic. I discovered that his Italian origins hailed from the Basilicata region of Italy like mine, so it was a nice surprise to learn we had something in common. 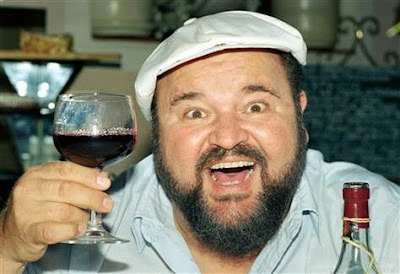 Dom DeLuise has list of film, television and stage credits that few could match. 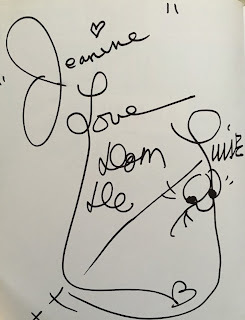 He worked with icons of television and cinema, becoming one himself, and also did the voices for cartoons such as An American Tail and All Dogs Go To Heaven. He appeared as a guest on the shows of Merv Griffin, Carol Burnett, Jackie Gleason, Flip Wilson, Mike Douglas, Dean Martin and Johnny Carson. He even roasted Frank Sinatra. However, when I spoke with him, he said his biggest passion was his books. He told me about those books, his Italian heritage and his special friendship with Burt Reynolds. What was your childhood like growing up in Brooklyn in the 30's and 40's? The whole world was Italian. We lived across the street from a church and it was a part of our life, not just on Sundays. We weren't just Italian; all of our extra curricular activities were Italian, like celebrating the Feast of St. Anthony. There we're a lot of stores. You could go to the store and see them making fresh mozzarella and there were rice balls on the counter. I lived in a neighborhood where the stores were specific.. there was a store to get fresh pasta, a few doors down, there was a bread store that had this bread with an amazing crust and then another store where you could buy fresh ricotta that was mild and delicious. My mother used to make lasagna with it. Not only did you have the opportunity to go to these stores, but you also were around the language. Everyone spoke Italian. My parents came from Italy, so they spoke Italian when they were in these stores. Where in Italy were your parents from? Spinoza, a town near Potenza in the region of Basilicata. Yes, it's a wonderful, beautiful town with rolling hills. When I went there, I got to see where my parents were raised. We had lunch under an arch where grapes were hanging ready to be picked. We sat at a big table and ate a meal that started with a dish of potatoes, onions carrots and tomatoes, which was followed by a dish of pasta and then rabbit, a salad and then nuts. My mother still followed this tradition and I used to tell her, now that she's in America, she has to serve everything on one plate! How did your parents inspire your work? My mother was a great cook. I wrote a book called, Eat This, which was inspired by her. My father had a big Italian accent and he always had a great time talking about his Italian heritage. It was a great foundation to start from. When did you realize that wanted to work in show business? I loved being in plays at school. When I was in high school, I played Scrooge in A Christmas Carol. At the end of the play, there was a big applause... people screamed and yelled, and I thought this is a great way to make a living! I had a role in an Off-Broadway show called Little Mary Sunshine. I made $37.50 a week. I was Corporal Billy Jester, which was a comic relief role. Then I was in other shows, Half Passed Wednesday and All in Love. In a review by the New York Times, I was called a comic genius. It was a big honor. Then Merv Griffin was the first person who requested an interview with me. Tell me about your friendship with Burt Reynolds. Well, I was a frequent guest on Johnny Carson. One time, I heard that Burt Reynolds was going to be a guest, so I did a pantomime of him with the theme of 2001 playing and ended up laying on Johnny Carson's desk. It was a lot of fun. The next day, I received a hand-written letter from Burt that read, "Please leave me alone" and we've been friends ever since! He's like a brother, very easy to be a friend. And Mel Brooks? You've been in several of his movies. I had an audition for The Twelve Chairs. It lasted 4 1/2 hours. Mel said, if you get this part, we'll be friends for 25 years and if you don't get it, we'll be friends for 25 years! I got the role and then also worked with him on Blazing Saddles, Silent Movie and History of the World. Do you have a favorite film that you've worked on? Yes, I have two; The End, directed by Burt Reynolds and also The Best Little Whorehouse in Texas with Dolly Parton and Burt. Your sons are also actors. Did you encourage them? No, not really! They were just naturals. Peter is also a director. Michael is an actor and has been on many shows including The Gilmore Girls and NYPD Blue. David had a role on the television show, Third Rock from the Sun and just completed a series for the Disney channel called, Wizards of Waverly Place. My wife thought that was funny because she used to live at Waverly Place in New York years ago! So you act, sing, draw and write. Do you have a favorite? I really like writing children's books and cookbooks.. In addition to my cookbooks, Eat This and Eat This, Too, I wrote Charlie the Caterpillar, King Bob's New Clothes, Nightingale, Goldilocks, Hansel and Gretel (my version! ), The Pouch Potato, and No Place Like Home. Dom DeLuise shared one of his favorite recipes with our readers, named after a beloved old family friend and neighbor from Brooklyn, Lucy De Paolo. 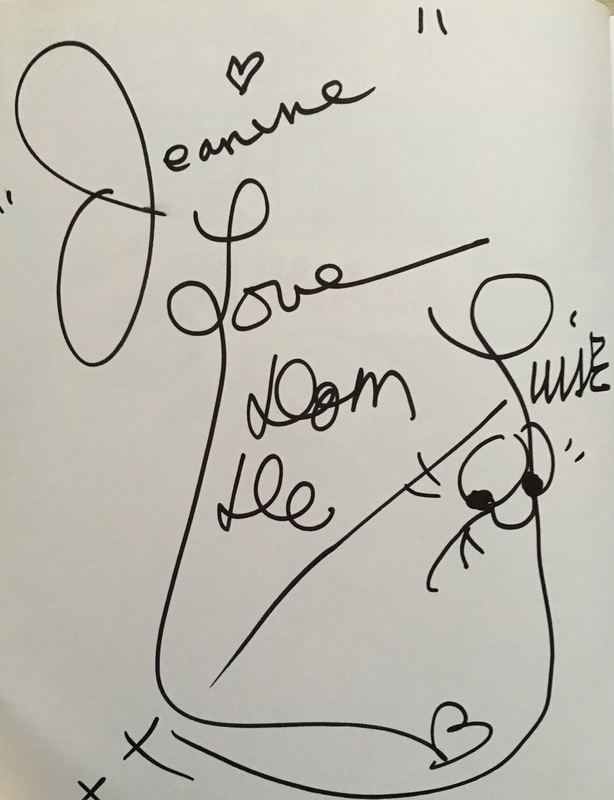 He wrote, "She came from a different region (Naples) than my parents, she would make different pastas than Mamma." Additional fresh, coarsely chopped parsley, basil and grated cheese to taste Brown garlic in olive oil. Add onions and gently sautè until onions are crunchy and brown. When onions are almost done, add the 1/2 cup parsley and sauté gently until limp. Cook pasta in boiling water until al dente. While pasta is cooking, beat together eggs, cheese and the 1/2 cup of basil. Drain and place the hot pasta in a serving bowl and fold in the egg mixture (the heat from the pasta will cook the eggs). Add contents of frying pan and mix well. Sprinkle with pepper and serve with more parsley, basil and grated cheese, as desired.